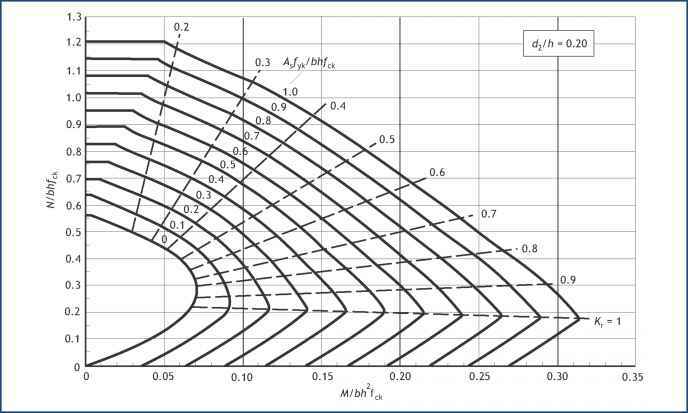 It is not usual for a slab to contain shear reinforcement, therefore it is only necessary to ensure that the concrete shear stress capacity without shear reinforcement (vRd,c - see Table 7) is more than applied shear stress (vEd = VEd/( bd)). Where shear reinforcement is required, e.g. for ribs in a ribbed slab, refer to Chapter 4, originally published as Beams8.